I’m not even posting the lyrics to this one, I just posted it for fun. Some rich quack out there has determined that today is when the world will end, so get thee to a bomb shelter folks! 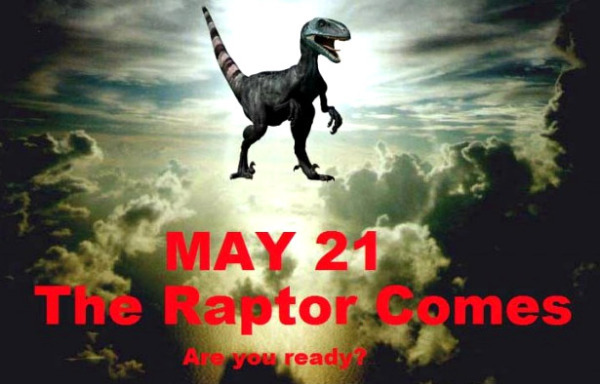 The raptor cometh! …Just remember, they can open door handles, but not door knobs. Good luck and God speed!